This post is brought to you in partnership with Mission Foods. 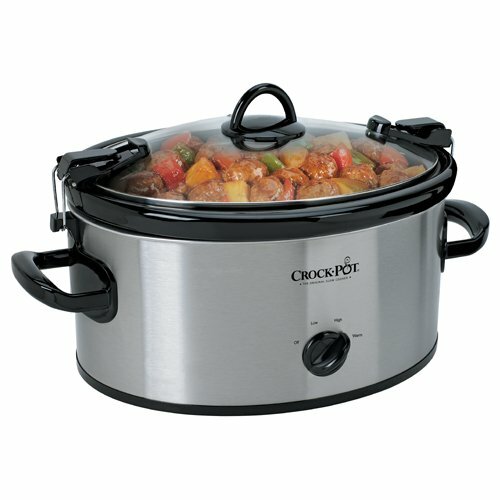 It’s that time of year when our slow cookers are almost always on the kitchen counter. It’s just so easy to make dinner happen, even on the busiest weeknights. These Slow Cooker Honey Chipotle Chicken Tacos need to be on your regular rotation this season. They make an effortless midweek meal for the whole family, and they’re also a crowd-pleaser for any football Game Day parties you might be throwing. Just set the slow cooker to “warm” and let everyone help themselves when they’re hungry. These tacos definitely bring the flavor! Made with shredded chicken, chipotle peppers, and honey, each bite has just enough sweetness and heat to wake up your taste buds. The chicken also stays really juicy when cooked in the slow cooker – after cooking, you’ll be able to shred the meat with a fork! When it comes to toppings, keep it simple. A little queso fresco, some crunchy red onions and radishes, and chopped fresh cilantro are all you need. Unless, of course, if you hate cilantro! If so, skip it and use chopped green onions instead. For the tortillas, go for Mission Super Soft Flour Tortillas. These tortillas a so easy to fold and won’t rip or tear like some other tortillas. 1 Combine everything in the slow cooker: Combine the chicken, tomato sauce, honey, onion, lime juice, garlic powder, salt, and pepper to your slow cooker. Add 1 to 3 chopped chipotle peppers and 1 to 2 tablespoons of Adobo sauce, depending on your preferred level of heat. Mix together well. 2 Cover and cook on high for 4 hours or low for 6 to 8 hours. 3 Shred the chicken: At the end of cooking time, use two forks to shred chicken in the pot. Mix the shredded chicken with the sauce. At this point, the chicken can be held on the "warm" setting, covered, for 1 to 2 hours. Stir additional water as needed if the pot starts to become dry. 4 Serve: Set out a stack of tortillas and all the toppings. Assemble and serve the tacos from the slow cooker. Leftover chicken will keep refrigerated for up to 5 days or frozen for up to 3 months. Hello! All photos and content are copyright protected. Please do not use our photos without prior written permission. If you wish to republish this recipe, please rewrite the recipe in your own unique words and link back to Slow Cooker Honey Chipotle Chicken Tacos on Simply Recipes. Thank you!